London psychedelic/krautrock outfit TOY return with their highly anticipated third album Clear Shot on October 28th. The album is more accessible than the band's previous output, take for instance "I'm Still Believing," which is super catchy, barely-three-minute track that would easily fit on alt radio if given a chance. This accessibility shouldn't be offputting to old TOY fans -- there's tons and tons of blissful psychedelic, shoegaze, dreampop, and experimental moments to enjoy, particularly the epic album closer "Cinema." 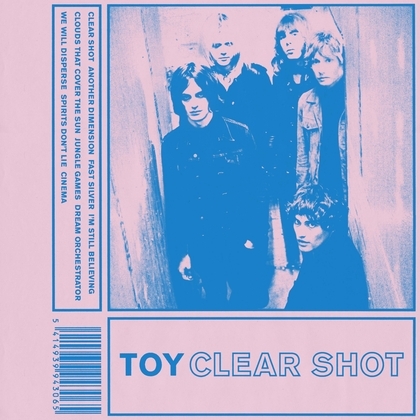 Clear Shot is a superb and swoonworthy addition to the band's discography. Dig into Clear Shot early -- today NPR premiered the album in full ahead of its release. Stream here. Pre-order Clear Shot from iTunes, Amazon, and Heavenly Recordings.